This Havana blog keeps you up-to-date with additions and changes to the www.havana-unwrapped.com website. The Napoleon Museum is now open again. Continue reading "The Napoleon Museum"
Here is some Cuban slang that you might hear in Havana. When you leave the Havana airport, you no longer have to pay the departure tax. Continue reading "Leaving the Havana airport"
Meyer Lansky was the kingpin who brought the other mobsters to Cuba to form the Havana Mob. 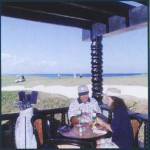 The Varadero Golf Club is the only 18-hole golf course in Cuba. Continue reading "Varadero Golf Club"
Cuba television started on October 14, 1950.